One of the benefits of New York Yankees' general manager Brian Cashman’s mid-season moves in 2014 was the ability to “scout” some players who might be useful to the club in the future. 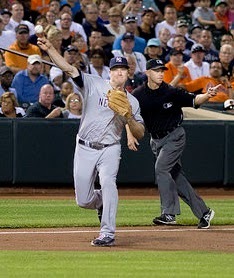 One such player is Chase Headley, long coveted by the Yankees and finally traded to New York from the San Diego Padres. Headley became a hot commodity after putting up exceptional numbers for the Friars in 2012. Headley launched 31 homers, drove in 115 runs and tossed in 17 stolen bases. His .286/.376/.498 slash line with a 145 wRC+ and 7.2 WAR made clubs drool, knowing the Padres might not be able to sign Headley to an extension. But, Headley regressed offensively in 2013 (114 wRC+) and for the first half of 2014 (90 wRC+), which severely affected his stock. The Yankees were able to utilize a vagabond shortstop (Yangervis Solarte) they did not have in their system in 2013 and fringe prospect Rafael De Paula to acquire Headley. It was a welcome move for the Yankees in more ways than one. First Headley has been much better at the plate since arriving in New York. His .263/.374/.402 line with a 123 wRC+ has given a boost to an anemic offense. Not only has Headley seemingly found some of his stroke, he’s provided the Yankees with stellar defense at third base where they lacked such play for several seasons. But, Alex Rodriguez is back in 2015, you might say? Well, my suggestion is that the Yankees move A-Rod to designated hitter and slot Headley in at third base. If (a big IF at that) A-Rod is going to be able to provide anything at all to the Yankees it is likely going to with his bat, not as a 40-year-old fielder with balky hips. Rodriguez’s fielding metrics at the hot corner were dismal except for two seasons (2004 and 2011). His UZR/150 in more than 10,000 innings is -2.2. The Yankees are stuck with him, but they don’t HAVE to use him at third base. Headley on the other hand has a track record of above average play at the hot corner. He’s put together an amazing 26.6 UZR/150 combined this season and it’s been even better with the Yankees (37.9). In 6,300 plus innings as a third baseman, Headley’s career UZR/150 sits at 10.4. As the Yankees compile a groundball throwing staff, it is very important to put above average fielders behind them and Headley unquestionably provides that. Further solidifying the case to sign Headley was his ability to adapt to handling first base. While he’s played a minimal amount of innings at first for Mark Teixeira, he has not looked the least bit out of place in doing so. You might ask; why would the Yankees want to sign another player who will likely require a substantial deal? First, the team is without a player who can handle third base other than Martin Prado, who I feel would be better suited to play second IF Headley is able to be acquired. The best third baseman in the Yankees system is Eric Jagielo, but he’s probably not going to be ready until late 2016 or 2017 considering his just finished the 2014 season at high Single-A. It is likely that Headley will want a three or four year deal in what is his first taste of free agency. He earned $10.4 million this season. He turns 31 in May 2015, which would provide the Yankees with solid seasons without much deterioration of his abilities. This is not about signing a player who is over the hill, something the Yankees have a tendency to do. Getting back to Teixeira; he’s wasting away. If Jagielo advances at a quicker pace, it’s conceivable the Yankees will need someone to fill a void at first base at the end of Teixeira’s contract which expires in 2016. Headley would surely be able to shift if it benefited the team. This would also provide the Yankees with time to develop a first baseman should they decide on that route. Among the rest of the this offseason's free agent class at third base, Headley will cost less than Hanley Ramirez and possibly less than Pablo Sandoval. The remaining free agents are not in the same caliber as Headley. The 2016 class looks no better with Adrian Beltre the best name, but he’ll be turning 37 that season. Headley has expressed his pleasure with playing for the Yankees since the trade. He has taken well to the demands of the organization seeming very comfortable on the field and among his teammates. The big city is not eating him up. 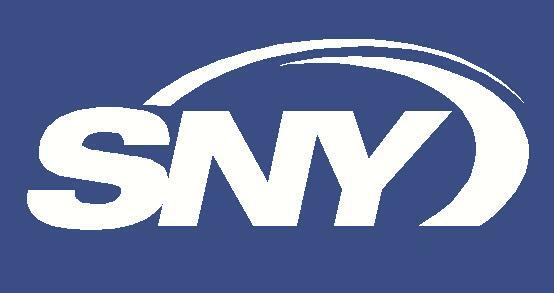 I believe it is wise for the Yankees to fill this void with an exceptional fielder who can handle the bat and has some upside hitting at Yankee Stadium for 81 games. Headley fits the bill. A three-year deal for $36-39 million seems about right to me. What are your thoughts?